Dear ones, we come in love with greetings to all of you who are working so hard to assimilate the new energies now pouring into you and your dear planet, Gaia. As you are well aware, these are times of change and questioning. Everything you once held as true and unchangeable seems to be dissolving around you with replacements that do not seem to be much of an improvement. As the old concepts and beliefs dissolve, new and better ways will/must appear but understand that those guiding the changes are often themselves struggling to see and understand the bigger picture. Send Light to the leaders of all governments and when voting be guided by your intuition and not media hype or perceived personal benefit. Vote for the candidate best qualified to bring forth a new and higher sense of governance that serves all people and not the candidate who refuses to acknowledge or move beyond ideas reflective of what is quickly becoming old and obsolete. Examine and release any remaining concepts you may still hold about love. This is easily done through remembering that unconditional love is simply the activity that flows from a consciousness of ONE and then examine your belief system by this standard. It is not necessary to know the all the how or whys, it is only necessary to live ordinary everyday moments from a place of oneness and connection and soon this will be your attained state of consciousness. There are those who are the essence of unconditional love and yet seem to have no intellectual knowledge or even seeming interest in spiritual truth. These souls attained their state of consciousness in previous lifetimes and are now simply living their lives from that place. When truth becomes your state of consciousness, it becomes who you are and there is no longer any need to even think about it. This is evolution. Learn not to place limitations or qualifiers on love and release all beliefs regarding your or others worthiness to be loved. Patting the dog who doesn’t get much attention, holding the door for someone who needs it, or giving an honest compliment to a child or adult with low self esteem are actions of unconditional love. Conditional love is what the world is most familiar with. “This person is not worthy of love.” or “If you act, dress, look, or behave in a certain way, then I will love you.” Many in the quest to be loved, surrender personal power in exchange for so called “love”. Conditional love still predominates in relationships of all sorts including many marriages. There comes a point in every soul journey where the individual must embrace and begin to practice the higher sense of Love–unconditional love– or the spiritual journey can go no further because unconditional love reflects a realization of Oneness, the foundation of all truth and goal of the journey. You have all had the experience of feeling cranky and down hearted and then feeling a lift when someone you may have not even know very well, patted your hand, spoke a few kind words, or simply smiled. This is unconditional love and always flows without care or interest as to whether or not the receiver was “worthy” or even interested. Unconditional love becomes automatic after attaining a consciousness’s of oneness and often goes un-noticed until the individual begins to realize that the “should’s” and “musts” have disappeared from his thinking and daily living seems to hold a new sense of joy. This new state of consciousness has become who you are–you are your state of consciousness. The whole spiritual journey is one of remembering who and what you are, and each truth integrated and lived, becomes your state of consciousness until there is no longer need to practice, read, study, search, for you simply are it, IT is living you. Divine Consciousness is and never can be limited in any way because IT is all there is. Many still hold to the belief that ordinary human experiences are not spiritual. Everything “ordinary” is every bit as spiritual as the things society has deemed to be “spiritual”. Individual consciousness interprets outer appearances, so as you evolve and begin to understand that nothing is or can exist outside of the ONE, you will begin to see the world and have experiences that reflect that. There comes a time when all the seeking and searching must end. Many of you are already there but you do not trust this and continue to seek and search outside of yourselves in the belief that you are “not there yet”. It is time to live truth. You already know what you need to know and more intellectual knowledge will not change that. As you begin to actually live truth, more is always given and comes when you least expect it. You may be mowing the lawn or washing dishes when suddenly a truth, insight, creative idea, or something relating to your work, interest, or need is revealed. This is how you learn to be taught from within with no middle man to add his/her concepts about the issue. It is time to move past always seeking answers from outside of yourselves. You are ready and able to get whatever information and answers you need from within. The only thing holding many of you back from doing this is the belief that you are not worthy, spiritual, or evolved enough. As long as you believe that you are just a limited human, you never will be worthy, spiritual, or evolved. Ponder seriously and honestly what you still hold regarding who and what you are. Ideas may come visually and powerfully, but more often come simply as a “knowing” about some facet of your life, or something you have been seeking more insight into. Individuals must learn to be more still if they are to hear this still small voice, which is why so many deny that there even is a “still, small voice”. Anyone going through each day hooked to phones and other electronic devises will never hear the still small voice. Anyone serious about their spiritual growth must learn to be still. Make it a habit to have a quiet time each day where you can be uninterrupted and spend time simply pondering truth, and then resting it for about 10 or 15 minutes. This need not be long, just long enough for you to center, and make a conscious connection with your Self. It is during this time that you state your intentions and choices, always then allowing time to simply listen. Prayer is you talking to God and is often preying not praying. Mediation is a quiet and centered receptivity. Never believe you have failed if you hear nothing, or do not have the same experiences someone else may of had, for the action of sitting quietly and listening indicates to your Higher Self that you are ready for more, seeking, and receptive–you have started the process. Make time during the day and even at night when you wake up to simply be still for a second or two–closing your eyes, focusing on your Divinity within, and just listening. You are all well along the Way or would you would not be resonating with these messages. Know that, trust that, live that, believe that, and be that. All I’m going to do here is say that there is something that has already “popped”, and the “Brightness” that is “brewing” is waiting for the “pop” to be recognized and aligned with. The planet (world) is completely changed. As of this moment. That’s it. Done. Now, no one has to understand this. I certainly don’t “understand” everything about this. It is there. It is “happened”. It is real. Maybe I’m sounding here more like the GaiaPortals, but I cannot say this any other way. You will know how this applies to you. You will know how this involves you. You will know how this changes you (your perception, that is). We are entering a massive energy vortex in the next few days and weeks, and it will bring in a wave of changes to the planet and to the very core of all life and BEINGS on this planet. This wave is far more powerful than anything anyone ever said about 2012, and it will bring in a tidal wave of cosmic energies, which truly will shift us all into a much higher vibrational energy state. After the tremendous success of the Event in the Pyramids on December 9th, 2015 we are going back one more time to have the pyramids opened for us at night for meditation prayer during these incredible times. And this time you can join us! If you wish, you may buy a ticket to help us pay for the costs of opening the pyramid and send a picture of yourself or another and your prayer request to sayedadli55@yahoo.com. As the pyramids under the earth and the sea, and those on land get more and more activated, the immensity of the shift will be felt to depths of all Being. The power of the changes which are coming now is not to be underestimated! This will cause more and more people to feel out of sorts and confused, especially if they have not yet awakened. If you start feeling out of sorts, or disorientated, just allow yourself to rest some, and then also go for walks in the nature. Mother Earth will help you absorb the energies, as she, herself is absorbing them and she is much bigger than all of us. Call in your higher guidance to assist you to cope with these changes. As the pyramids get more and more activated, the immensity of the shift will be felt everywhere. In the coming weeks, this will bring in a new wave of change to the Earth and to all living beings. This wave is far more powerful than the one in 2012; it will bring a tidal wave of cosmic energies, which shift us all into the higher vibrations. I am holding an Event in the Pyramids on December 21th. I will get a ticket for the guards to open the chamber up at night for me to do this meditation work. I know many people want help and healing through the meditation I will do in the pyramid on this day. People want the changes to come, bringing in more and more light to our planet.. This Event in the king’s chamber of the Great Pyramid will help to create great changes and great healing for many people in world. These meditations will make a very powerful difference to the situation here on Earth. My dear light family, please join me in spirit, as I do this Event. Thank you! Self-awareness allows us to sense that we are separated from each other. If we are not careful, this sense of separation can lead to hatred and war. In truth, there is no separation because we are all connected and made of the same substances. Having the ability to feel separated from each other and Creation (God) gives us the illusion of more freedom and makes life more interesting. It allows us to explore reality in our own ways through the use of free will. Having a strong self-awareness is one of your greatest protections against negative forces. Most people do not understand how powerful their awareness is. Your awareness can be your salvation. Through knowledge of self-empowerment and learning life lessons, you can expand your awareness to a state of pure cognition. It is a state of all knowing. At this state you cannot be deceived or manipulated, because you will know when someone is trying to harm or lie to you. When you become aware of past, present and future events, you can change your thought patterns toward what you want which will change what is manifesting into your reality. Because your consciousness is still in a baby-like state, the changes may not seem significant because of the way your awareness process time. If you lose focus of your desires before they manifest, you will deny yourself those desires. If you can find a like-minded group to help focus their thought patterns to what you are focusing, you can speed up the manifestation process. The more people the better. Being more aware can help you expand your consciousness. As your consciousness expands it increases your energy frequency. Once you reach a certain level of frequency, you can become immune to the influence of negative forces and diseases. Increase self-empowerment: As you increase your self-empowerment, you strengthen your connection to other sections of your awareness because you are becoming less fearful of the unknown. Fear is what prevents you from expanding your awareness because it puts you in a state of denial. Reduce distractions: Distraction reduces or blocks the connection to your inner awareness. This blockage suppresses your mind and prevents it from expanding its awareness. Distraction also prevents you from contemplating your thoughts. This prevents you from knowing who you truly are. You cannot expand your awareness unless you understand who you are. The fact that you have thought should be good enough proof that you are a being with infinite potential. Thought is one of the most powerful energy forces in the Universe. It is one of the fundamental forces of Creation because it is needed to focus everything into existence. Overcome denial: Being in a state of denial prevents you from accessing higher levels of consciousness, because it sets a parameter around your awareness and locks you in. As long as you are locked in this box of denial, you will have a very hard time expanding your awareness. To rise above this box, you will need to face your fears, be open-minded and think outside of the box. Strengthen your intuition: Your intuition is another part of your awareness. It is a knowingness that takes place at the cellular levels. Some of us like to refer to it as the “gut feeling”. To strengthen your intuition you will need to learn how to access high levels of your consciousness. This can be accomplished through meditation and DNA activation. Reduce the power of your ego: Your ego is another part of your awareness that has been isolated from your intuition, subconscious, conscious and higher self. It is an awareness that is lost, desperate and confused. Its main goal is survival. Because of the way it sees itself and thinks, it tries to put you in a state of denial so it can overpower you. This prevents your awareness from expanding. To reduce the power of your ego, you will need to take personal responsibility for your actions so you do not give away your powers to your ego. The ego is a part of who you are. Fearing it will only strengthen its power. Instead of fearing it, you should work with it to bring it back into balance. Increase your energy frequency: The world beyond matter is built on energy. Frequency is the code that gives energy expression. In order to expand your awareness, you will need to increase your energy frequency. Doing this will allow you to access higher levels of consciousness; therefore, expanding your awareness beyond your wildest dreams. 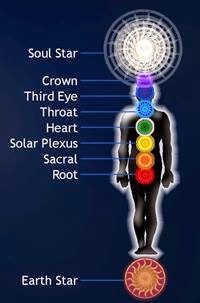 Healing your light body and DNA, and meditating on a regular basis are three effective techniques for increasing your energy frequency. According to this report from Cobra, as a result of the 11-21-15 Meditation, the “positive timeline has been deeply stabilized and the Resistance has communicated that one huge layer of strangelet and toplet bombs has been removed”. “Our Event Meditation was a huge success and we were very close to reaching the critical mass. Dragon sources have communicated that positive timeline has been deeply stabilized and the Resistance has communicated that one huge layer of strangelet and toplet bombs has been removed. 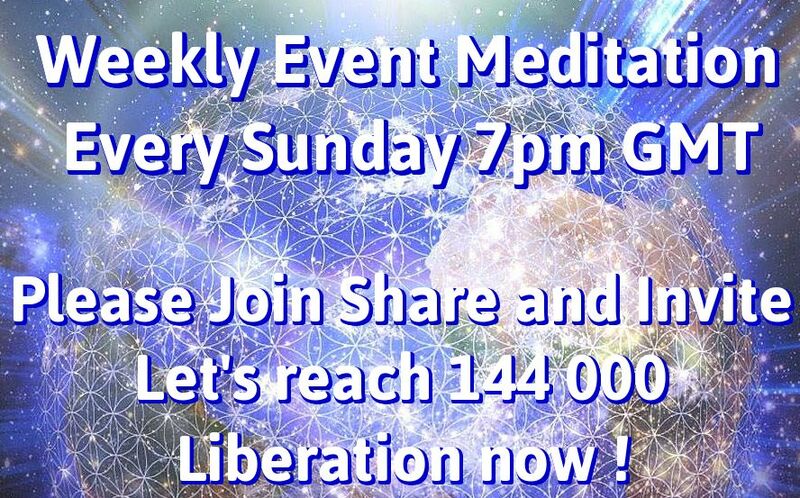 “Due to the success of this meditation, the Light forces have asked to change our former Weekly Liberation Meditation into Weekly Event Meditation each Sunday at 7 pm UT. “It is not a coincidence that many positive news have been released in a few short days after our meditation. This short report from Cobra came out today. The 11-21-15 meditation was a great success. Cobra’s Event Meditation on Saturday November 21 is a critical turning point for Gaia and all of humanity! 1) Sit in a comfortable position – place your focus on your breath. Think of nothing other than your breathing. 4) Each time you inhale, count, start with “1” as you exhale count “2”. This will be a total of 5 breaths. We will be counting to ten. 6) Do this for 3 complete cycles (or longer if you feel so guided). 7) This is just one technique…..itis to help you quiet your mind and relax. 1) Take a minute to visualize your body. Start at your tailbone area, move up to your abdomen, then your umbilicus (“belly button”), then your heart, move to your throat, your forehead and now the top of your head. 2) Now focus your attention about 8” above your head, visualize white light here. See this white light connecting with the white lights of everyone else in this circle. 3) Now visualize that you are sending this pure white light into the Earth as a blessing. 4) Visualize this now collective beam of Light expanding into the Earth’s energy grid, connecting with Earth’s energy system. 5) Visualize this collective beam of light connecting with the White Light that is above every sentient being on the planet. 6) Visualize this collective beam of Light connecting with the White Light of all the beings who’s mission it is to assist us in creating this Earth of our desire. 7) Lastly now visualize this brilliant White Light being sent out into the heavens to all sentient beings helping to bring peace, harmony and abundance to Earth. Together we invoke the presence and intervention of all beings of light to assist us so that for the first time in our history we will have the chance to create our own destiny as free citizens of planet Earth. 2) Visualize all of the beings involved, being in harmony with the goal of manifesting in a positive way the needed changes to brings about a peaceful world that would be abundant for all. That all the corruptions would be revealed and those responsible would be dealt with in a fair manner. 3) Visualize all the remaining bombs and exotic weapon technologies being quickly, effortlessly, harmlessly and safely removed; never to return. 4) Visualize that the truth be told of all past events and programs that have been either unexposed or untruth given in its place. 5) Visualize a day in the very near future where peace will reign everywhere on Earth. Heavens power is increased when we come together as a group in unity. • Envision a day in our near future where all people will have food, shelter and clothing; with all their needs met eliminating the need for crime. • See a day when we will all work in harmony to bring about world peace. • That the injustices that now persist will end, that those who are unjustly imprisoned will be released. • Add prayers of others in group.